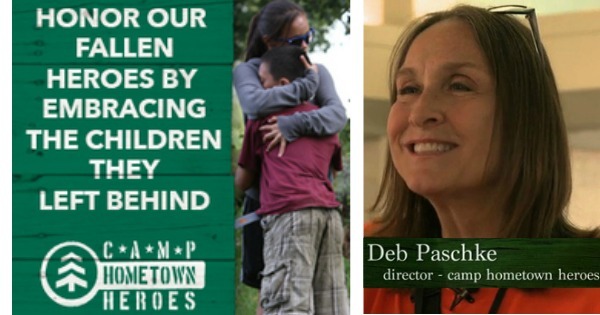 Today I had a chance to talk with Deb Paschke the director with Hometown Heroes. We often honor and remember our fallen soldiers but all to often the spouses and children of these heroes are not honored as the should be. Camp Hometown Heroes is specifically designed to provide the children of fallen U.S. service members ages 7-17 with opportunities for friendship, fun, acceptance, and personal growth. Through the support of pediatric grief specialists the children and teenagers are provided the chance to grieve and heal.